Plagiarism is the using of somebody’s words or ideas, and trying to pass them off as your own. In many cases plagiarism isn’t intentional or deliberate. It can stem from not knowing particular rules for crediting resources or from inadvertently omitting the necessary documentation of a source. Whether plagiarism was deliberately committed or was the result of ignorance or accident, it all falls under the same rules, and is considered a serious infraction. An individual who has held a doctorate degree for many years can have that degree revoked if it should happen to come out that they committed plagiarism on their doctoral thesis. Learning how to avoid plagiarism in academic writing and knowing tips for structuring your paper can save you many future headaches. Information that is generally common knowledge. Factual information considered part of the public domain such as historical dates. Common knowledge would include folklore and mythology and common sense observations such as the sun rises in the east. Field-specific common knowledge. Information that is only common knowledge in a specific field, but in the field is widely known. Words directly copied even if not a quote. Information that has been reworded by you and put into your own words is known as paraphrasing. When paraphrasing information, credit must still be given to the original source. There are several commonly used styles for documenting resources. Your instructor may have a preference or it may be left up to you to select the style you use. Besides, you may learn more about the use of content keywords that will tell what specifically the topic is and what area of the topic should be focused on. Keep track of all resources from the beginning of a project. Information taken from a source 6 months ago may result in you forgetting where it came from. As you make rough drafts identify parts of your honors dissertation that need documentation in a way that stands out so it isn’t overlooked. When in doubt, give credit. 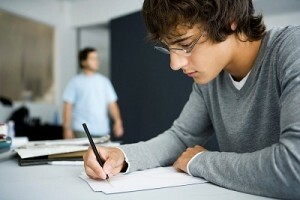 A charge of plagiarism can damage your reputation and even result in expulsion from school. So don’t hesitate and find out more information on how to avoid plagiarism in academic writing on our site!